The Way of the Samurai series has a cult following here in the states. The open ended gameplay and emphasis on story turned many heads back with its original release in 2002. The fourth installment of the series, coming courtesy of XSEED games, seeks to return to its roots and provide a compelling experience for newcomers and fans alike. 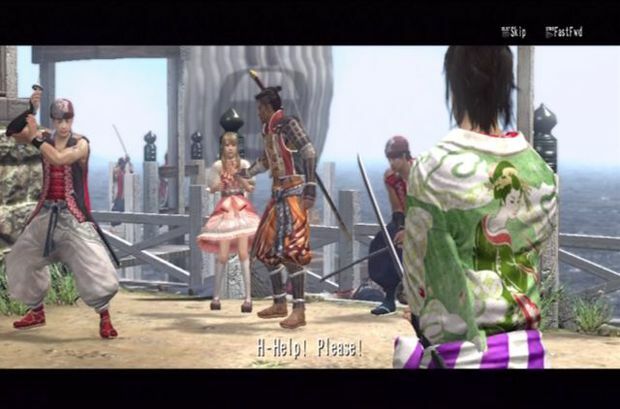 Set during the later years of the feudal era of Japan in the port town of Amihama, players take on the role of a wandering samurai, who enters town just when tensions have reached their boiling point. Clashes between different factions -- the Japanese Shogunate, the isolationist forces of the Prajna, and foreigners from Britain -- have turned the once quiet town into a place of mayhem and chaos. After intervening in a minor conflict, the player is swept up in a quest that will decide the fate of Amihama and all those who call it home. From the outset, the game very much emphasizes openness with its gameplay. During the first encounter, the player can make several different decisions relating to how they interact with certain characters, who you choose to backstab, and which characters should bite the dust. You can even act out your best Yojimbo fantasy and manipulate all three factions against each other to your own benefit. With 10 different endings, including one true ending, players will feel motivated to head back in for multiple replays. 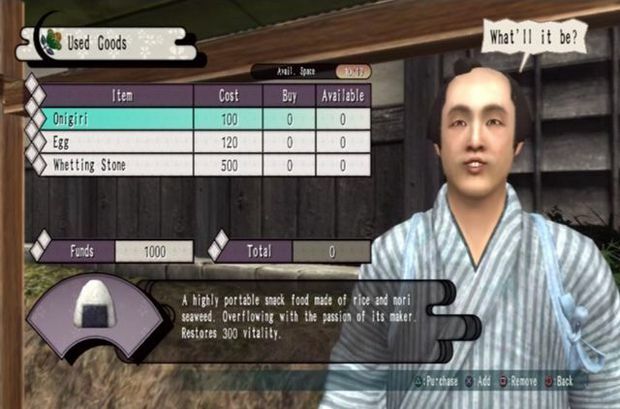 In true sandbox style, you can avoid the faction quests altogether and simply explore the town, meeting citizens, pick up side quests, take up fishing, gambling, and even gardening. You're even given the option to romance particular characters, which can yield its own rewards. While WOTS4 deals with some heavy themes, the game likes to lighten the mood by introducing bizarre scenarios and garish characters into the mix. One minute you could be dueling in the town cemetery, and the next you could participating in a comical water torture sequence to gain the approval of a woman you might fancy. Not exactly sure why that would work out, but the game lets you do it. It's all quirky and bizarre, but oddly humorous. Way of the Samurai is very open in its execution, and the game will take any decision you make and keep on rolling. One of the game's new features, however, might stir up some controversy. Known as "Night Crawling," your character can sneak into the house of a woman you're attempting to romance, and try to seduce and manhandle your way into their bed. All the while sneaking past their family members, and keeping quiet. All this is done with an on-screen prompt of a turtle head, which gets larger as you approach the person you're trying to romance. While this all sounds a bit creepy and slightly disturbing, it comes off more ridiculous, and over the top when you're actually doing the mini-game. The smallest decisions can have the biggest consequences, and WOTS4 seems to revel in it. For instance, the British foreigners speak a language not familiar to the player character. Siding with this particular faction can have the player invest in schools to learn new languages and customs. 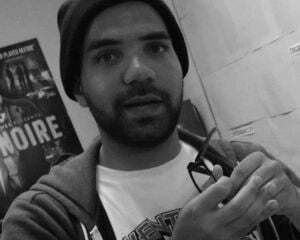 Speaking to past characters after the language gap will yield gifts and items, provided you helped them in some way before. Even more drastic decisions will see the game adapt just fine. I was surprised to see how quickly you can turn coat on one faction, and side with the other. The consequences of this will have characters and allies you betrayed seeking vengeance against you and your new allies. I'm quite impressed with how adaptable the game is to changing play styles, and how it even rewards you for doing so at the right moments. And what would a game with samurais be without combat? As a lone samurai in a bustling town with factions at each other's throats, you should expect to be facing the sharp end of an enemy's weapon quite often. When in combat, your character will stay locked on to single target at a time and you can utilize dodges, parrying, sweeps, kicks, and different sword stances to get the upper hand on your target. Stances work like rock-paper-scissors, in a way. Using one stances has its own strengths and weaknesses against others. During battle you'll be able to switch weapons that have their own unique feel and weight to them, which adds variety and flavor to each battle. However, as you attack and guard with a particular weapon, the durability and effectiveness will degrade. Once the weapon breaks, it'll leave you defenseless and vulnerable to enemies. For the most part, combat worked pretty well. Fighting multiple targets can be quite cumbersome, though. Since there is no dedicated target switch button, you'll have to disengage your current target, move closer to the other, and reactivate the lock-on. And yes, it functions just as awkward as it sounds, and isn't very conducive to staying focused during battle. 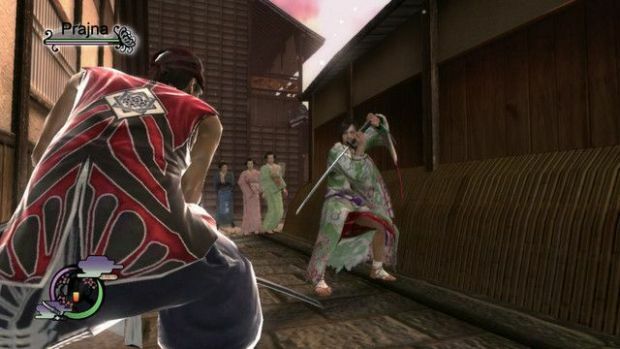 While Way of The Samurai 4 is primarily a single-player title, Acquire has taken cues from other single-player action-RPGs with online features, and implemented a persistent online mode. Players can upload their created characters and send them out online to other player's games. When online, your character can encounter assassins created from other players that will confront you randomly. Defeating these characters will gain all the loot and custom weapons they carried. This offers a great risk/reward aspect to these and you'll likely encounter characters who have advanced and rare weapons, giving a very small window to make your move. Fans of the series should be excited to see gets their hands on this new entry, and newcomers with a liking for action games in a sandbox setting should keep this on their radar.